The past 18 months have seen the rise of a worrying trend. The number of holiday sickness claims being made has reportedly increased by up to 700%, leading to concerns about how many of these claims have been fraudulent. The scale of the increase is such that hoteliers in Spain and Portugal, the most heavily affected countries, report that suspected fake claims made by British holidaymakers had amounted to a total of £42m in the first nine months of last year alone. So what is happening here? If all the claims were genuine, it would indicate that food poisoning in British tourism hotspots is virtually a pandemic! Recent investigations carried out by journalists have found that unscrupulous claims management ‘touts’ have been hitting popular tourist hotspots, with the aim to encourage healthy tourists to make false claims. Footage obtained by ITV shows a tout doing exactly that – and this type of behaviour could help to explain the dramatic increase in sickness claims. One hotel, after receiving a tipoff that a customer was planning to make a false claim of food poisoning, even managed to obtain CCTV footage of the customer dancing by the pool after he claimed to have been struck down with a stomach bug. Smooth Law – or any reputable firm – will never knowingly take on a fraudulent case – for holiday sickness or for any other claim. It is not in any solicitor’s interest to do so, not to mention most solicitors have no personal interest in pursuing immoral claims. If you are approached by, or receive a phone call from someone who encourages you to make a claim of this nature, and you have not been ill it is worth bearing in mind that it is likely to be an unscrupulous and potentially criminal organisation – and this could land you in legal hot water later on. What if you’re a genuine claimant? If you have been unlucky enough to genuinely fall ill on holiday as a result of failings by your tour operator, it is your right to seek compensation. Smooth Law deal with genuine claimants only, and act on a No Win, No Fee basis. To find out more about how we can help you or to talk through your options, get in touch with our friendly team today – you can call us for free on 0800 1615 709 or send us an enquiry via our site. For more information on what action you should take in the event of falling ill on holiday, you can read more in our previous blog post. Smooth Law is a trading name of Smooth Law Limited. Smooth Law Limited is a limited company registered in England and Wales, registration number 07387835.  Smooth Law is regulated and authorised by the Solicitors Regulation Authority, registration number 619610, and is subject to the SRA Code of Conduct. It is regulated by the Financial Conduct Authority for insurance mediation activities. A list of the directors and members can be viewed at the registered office.